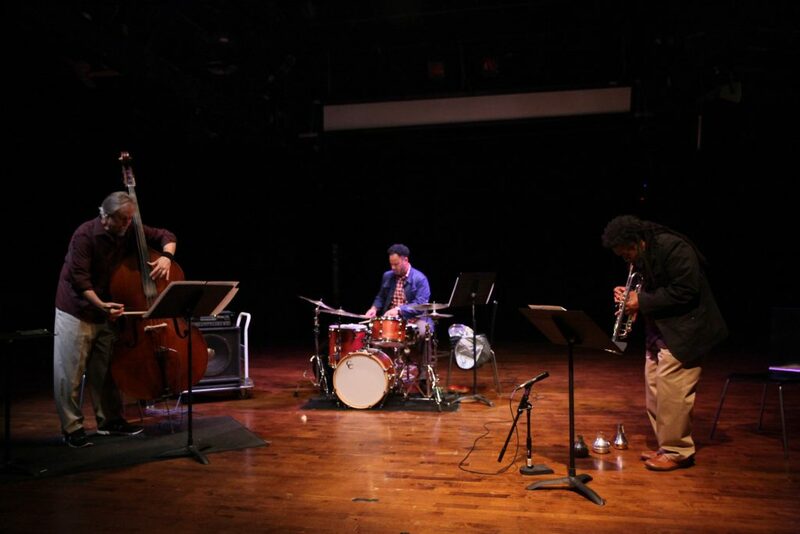 Summing up Wadada Leo Smith and John Lindberg’s Oct. 29 performance at Constellation in words seems to be an almost impossible task. Somehow translating the night’s journey into words. Words, words, words. Does that word even mean anything now? What if I say it 100 more times? A thousand? My girlfriend is in an acting class right now, and she tells me the Greeks used words impeccably. In their writing, words weren’t hollow signifiers, they moved and felt and had intentionality, had courage. Courage- what a word. I can’t say I fully understand what it means, or that I know how to use my words impeccably. She might be able to give you a better picture. But I walked out of Constellation that night feeling like I maybe understood that word “impeccably” a little better, because it’s really the only way I can sum up how Lindberg, Smith and Mike Reed performed: impeccably. Having an appropriate attitude towards fear. Smith put the horn to his lips and there was fear. Fear of music maybe, or fear of the power he assumed in front of the audience. But there was also a disposition to that fear. An awareness. Awareness of the power behind each note he played and, equally important, each note he didn’t. Suddenly there was the first note and the performance began. In that beginning there was a courage and a sincerity in playing for more than just the reason that people paid to come see him do just that. There was an urgency to say something, a courageousness to jump into the relative unknown. And so they began, Lindberg with fluttering arco work on his bass and Reed sensitively moving around the kit. Soon Wadada leapt in with the spirit of a man half his age, with sharp attacks and blaring lines cascading across the energetic soundscape. Sometimes there were wrong notes and sometimes silence was the only right note. Music means something more when you play with courage, because suddenly that note and that silence mean something. No one was hiding on stage as the timbre shifted and Smith growled airily through his brass pipe, while Lindberg and Reed accompanied with solid strokes and crashes. The three musicians followed the path of Smith’s “Malachi Favors: The Monarch of Making Music” for over 30 minutes. There were points of congruency throughout- Lindberg peeked over his stand at Wadada, recognizing they had reached a landing point together; Smith and Reed suddenly changed together, like magic. But, in their case, magic was really trust and awareness. I saw trust in their glances that night, so their ears could better navigate. I heard trust in the deep groove that permeated the entire performance. The groove that night was not something you could tap your foot to or line up with a metronome. It was a spiritual groove because of the faith they had in each other. Each musician had their solo. Lindberg, in the second set, played to the bewildered eyes of Reed, who at one point just gave up trying to play along and sat smiling wryly at the master before him. 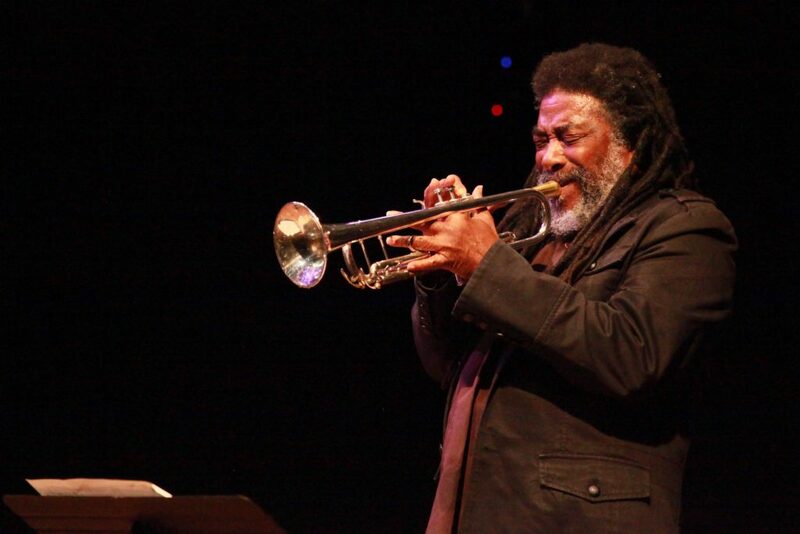 Wadada played lines and wiggles and journeyed through his horn to places of imagination. Reed captivated me with his downbeat that paid absolute attention to everything happening around him and everything in between. Each star shone individually that night, but in many ways it was the collective combination of the light and courageously-played meaningful notes that elevated the music beyond. The music or creative spirit that surrounds us always. Like wind moving the air or atoms warring around and against your body. It felt like Smith, Lindberg and Reed captured a creative force and followed it to loud places and some of the softest places I’ve heard in awhile. The brilliant way Smith and Lindberg write music moves congruent to these forces rather than perpendicular. It’s an impeccable awareness to the true forces behind music. Improvisation often serves as a route along this undercurrent and it did the same in Lindberg and Smith’s composition. Each musician seemed to sensitively pick up on the energy that passed through the room and expressed in as few soft words as possible exactly what they were trying to say. Smith leaned into the mic as the trumpet softly cried its brassy warbles through the cup mute in response to Lindberg’s flautando bowing less than ten feet away. Behind this, Reed sat with brushes in hand, moving slowly around the kit, locking into the quietest pocket for a few measures. Impeccable was all around us. Acknowledging the tradition of music in the language of the future. I don’t think it’s worth it to start a discussion concerning the roles of tradition and progressivism in jazz music today. As my good friend and co-D.J. Leo often jokes, jazz seems almost as divided as American politics with real right-wing Wynton supporters in constant tension with the various left-wing parties from the realms of fusion, free and beyond. It’s a discussion I’ve had too many times and one that a truly great musician deflects and proves the ultimate futility and, really, childishness of. (Maybe it’s not so different from American politics after all.) After this show, I’m convinced one of those musicians is Smith. Impeccable requires knowing the intricacies of your language. Jazz as a language came from the blues. Not the twelve-bar-standardized-by-W.C. Handy blues, but the feeling. 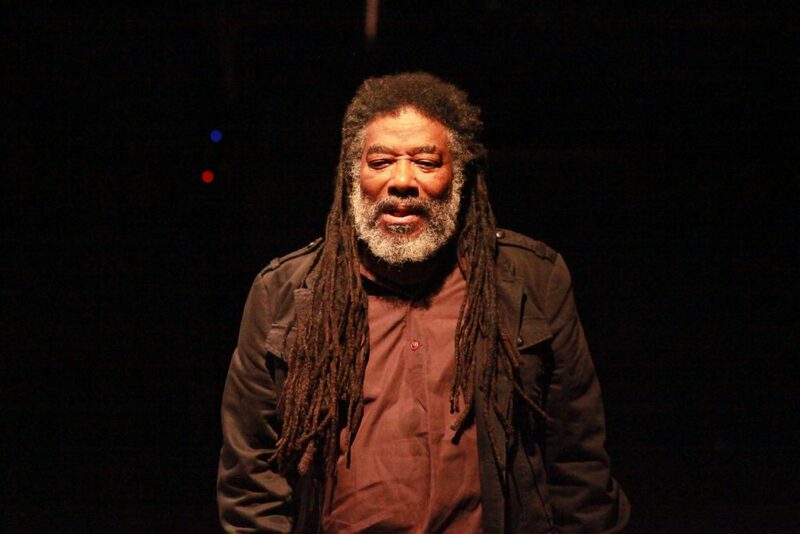 Wadada, who grew up in Mississippi in the late 50s and 60s, knows this blues well. The spirit of the blues lives deep inside the core of the enigmatic man with a soft smile and quiet eyes. Deep blues, like deep groove, will not be expressed in licks containing flat fives and 4/4 meter. Deep blues exists in the ether and the feeling of how a note is played rather than what that note is. And from that deep blues grows swing, which again doesn’t live within how a musician treats their eighth notes. 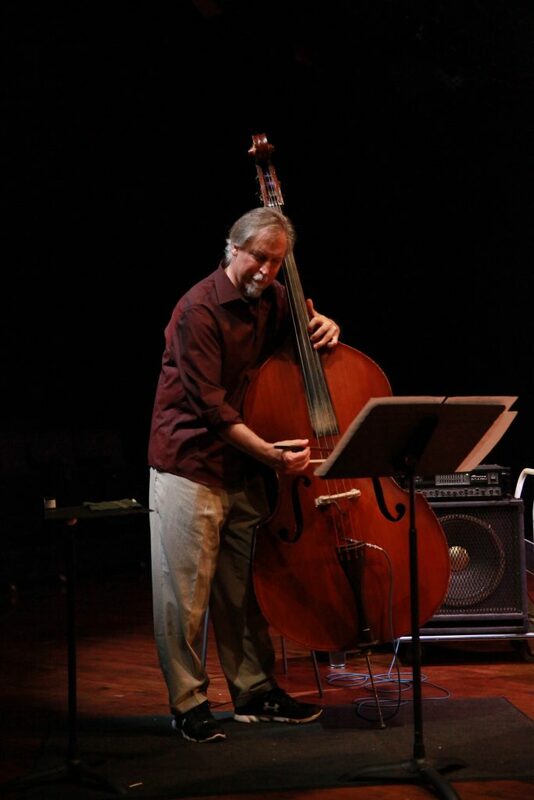 Smith, Lindberg and Reed don’t need basic and educationally-simplified signifiers to base their music within the jazz tradition; their connection is a deeper one that arises from an internalization of the tradition. By discipline and respect towards the past, they create an impeccable language for the future that assimilates the past without any ball and chain attached to it. As the profile of Wadada arched back on Lindberg’s composition “Feather and Earth” to a burst of fiery lines exiting his horn, I couldn’t help seeing Miles and hearing the future. 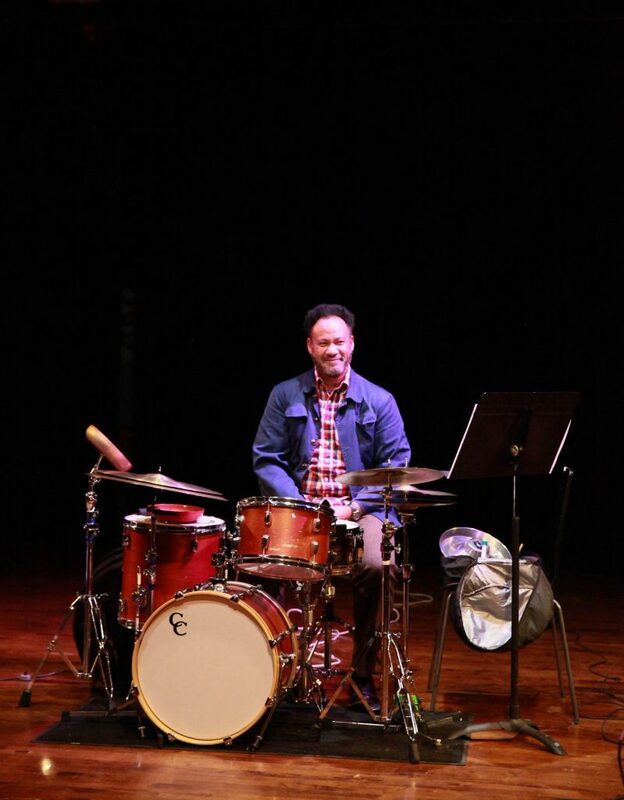 “Sometimes when you’ve made art or done something like turning buildings into pancakes or whatever you do, it can be hard to just walk out and leave the room,” Wadada said as the concert wrapped up. He walked out into the audience not as a the incredible performer and cultural force that he is, but as a humble human, seemingly searching for another human to bring him back to existence. To help him walk out and leave the room.